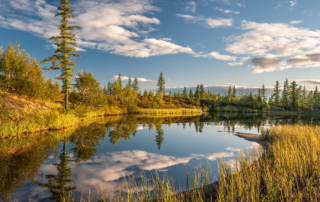 Our artesian water comes from the purest aquifers. Its taste is pleasant and its composition is balanced. Qualitative water appears in two categories: the first and the highest. In our country it is a new but rather effective direction of advertisement. 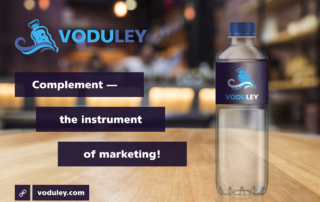 In western countries the water bottling under your own brand is being used for a long time and is accepted as a company’s business card. 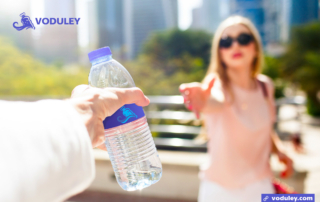 The bottle of water is part and parcel of different types of events: conferences, seminars, trainings, promotions. Bottling water under your own brand is stylish. 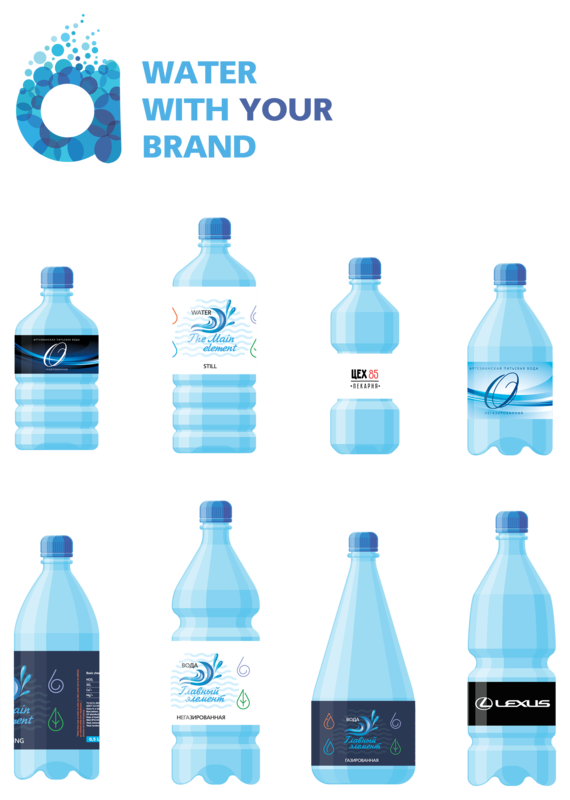 The bottle of water with your logotype and name of the company may let you create an individual style, make your brand remarkable and be in great demand. Own manufacture — we command modern high-tech equipment with output, storage and shipment of more than 1 000 000 production pro a month. 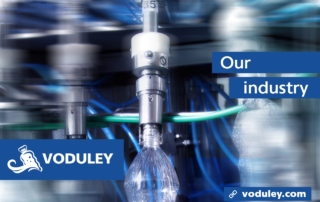 Technical support — we help to develop and adapt the form of PET containers and the label with your company’s style that will suit for the equipment of the bottling line. 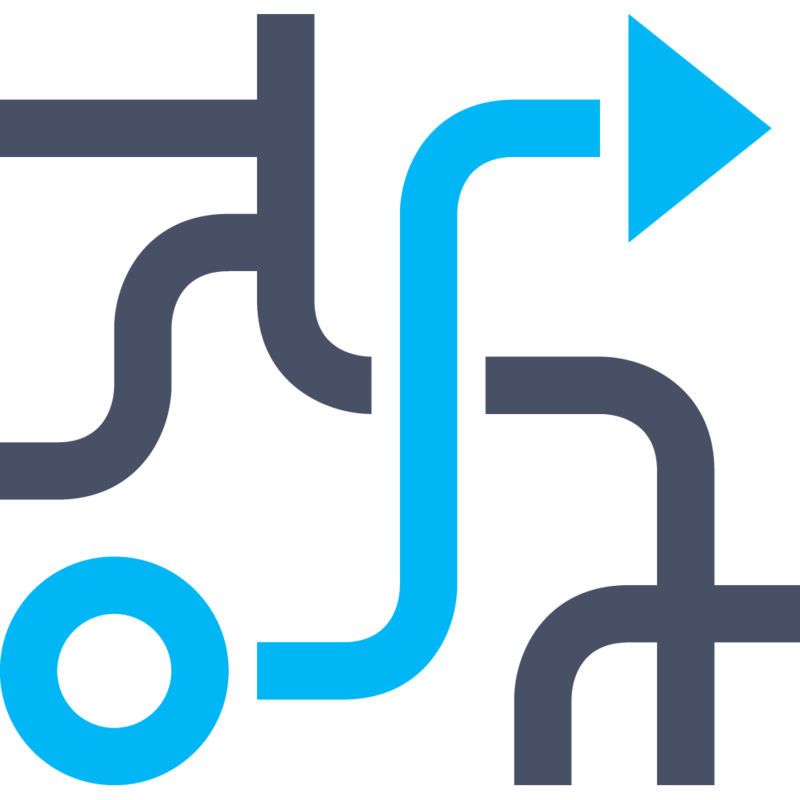 Logistics — we provide an individual logistics system. Water can be output: sparkling, still and mineral sparkling. Bottle’s volume: PET 0,25 / 0,5 / 1,0 / 1,5 и 5,0 l.
Our water «The Main element» — is artesian drinking water of the highest category, extracted from a depth of 90 meters located on the territory of the enterprise in the Pskov region, far from industrial and agricultural centres. Absolutely pure initially, water isn’t subjected to deep cleaning, is conditioned by ions of silver and disinfected by UV. According to the main criterions our water corresponds to the highest quality category of the EAC standard. Our mineral water extracted from a depth of 395 meters. Mineral water is recommended for treatment of digestive organs outside the phrase of exacerbation, as well as in preventive measures. The mineralization: 3700-5800 mg/l. (the length of UV waves is 200-400 nm.). and not more than 5800 mg/l for mineral water. The total hardness: not more than 4,5 mg/l. The price of branded water is similar to shop’s prices. There are some key reasons below. of more than 1 000 000 production pro a month. next orders — 2-4 working day. of 90 meters. Natural mineral water from the depth of 395 meters. We provide an individual logistics system. with your company’s style that will suit for the equipment of the bottling line. «Water, thou hast no taste, no color, no odor; canst not be defined, art relished while ever mysterious. Not necessary to life, but rather life itself, thou fillest us with a gratification that exceeds the delight of the senses…». Complement — the instrument of marketing! The high quality of our services, competitive prices, individual approach to each customer are the main components of our success. Call us, leave a request on the website — we are always warmly welcome!